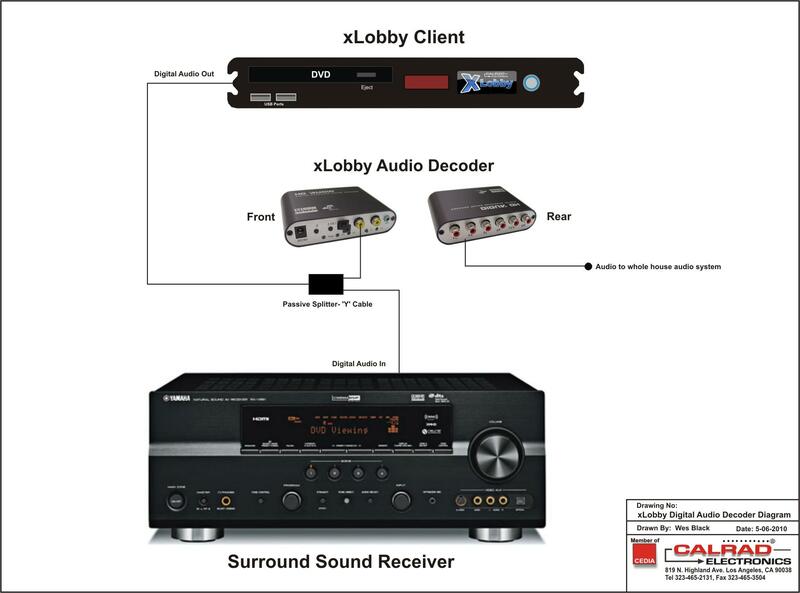 We are currently testing new audio decoders for xLobby that can downmix digital audio to 2 channel stereo or 5.1 discrete analog audio from SPDIF or Toslink inputs. xLobby and all media management systems are unable to decode digital 5.1, DTS and analog audio at the same time. The new series of decoders provide a low cost solution that provides installers the ability to separately decode analog audio when needed. 1. 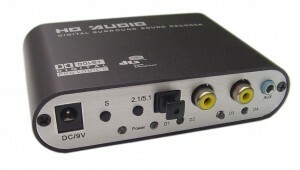 Transfer the DTS/AC-3 digital signal data into 5.1 sound track output. 2. Transfer the stereo(R/L) audio signal data into 5.1 sound track out put. 3. Two SPDIF input, one coaxial input, one sterero input,Perfect solution for your HDTV player, xbox 360 , ps3, ps2, dm500s,dm800HD etc. 4. One button to switch mode, simple to operate. 5. Auto detect AC3、DTS、PCM digital audio siganl, decode format：Dolby Digital EX、DTS-ES、Dolby Pro Logic II、DTS、AC3,Dolby Digital. Auto detection of AC-3, DTS, PCM, Dolby Digital, Dolby Prologic II, AC-3, HDCD. 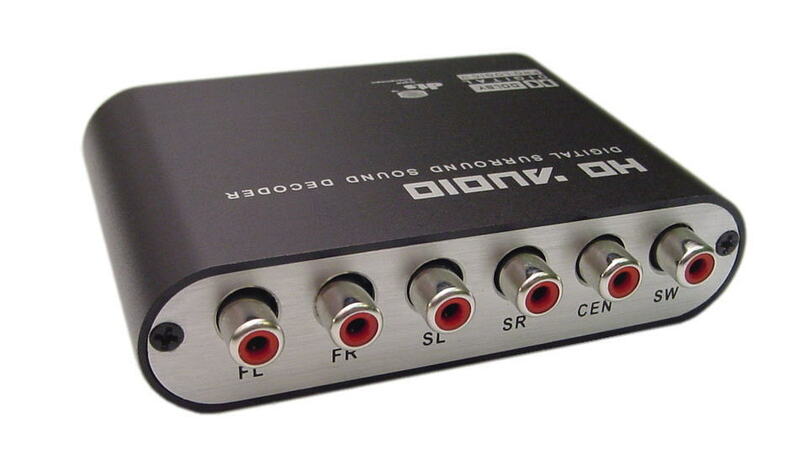 Front View, 9VdcPower Jack, Source Selection Button, 2.1 or 5.1 Decoding Button, Toslink, SPDIF, AUX input for Surround Sound Simulation decoding. Basic hookup example where Digital Decoding still feeds the main home theater surround sound receiver and also provides a stereo source to the the whole house audio system. This unit will be available in Mid June 2010. This entry was posted on Friday, May 7th, 2010 at 6:35 pm	and is filed under Uncategorized. You can follow any responses to this entry through the RSS 2.0 feed. Both comments and pings are currently closed.